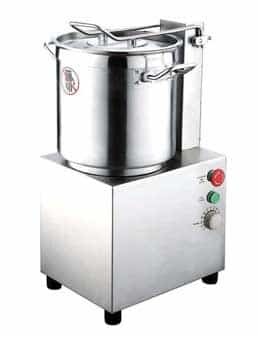 Smooth Stainless Steel construction with a multiple Burners. 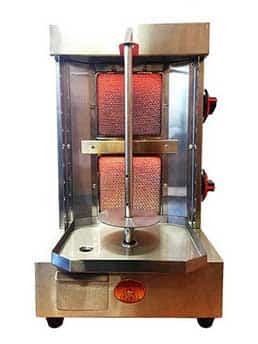 Spinning Grillers™ was first launched as a residential Shawarma machine company. 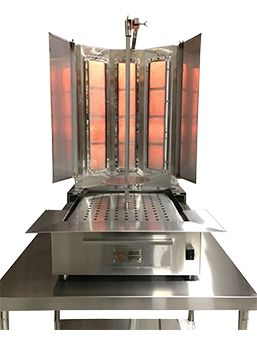 It was the Spinning Grillers 5 in 1 Vertical Broiler that put Spinning Grillers™ on the map! 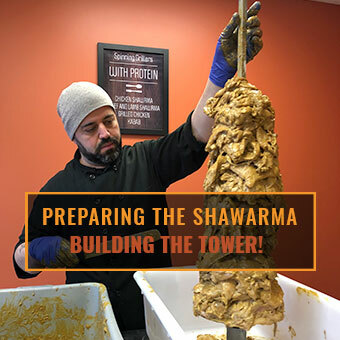 Due to an increased demand and custom requests from many Middle Eastern restaurant owners, Spinning Grillers™ started producing Shawarma machines for commercial use. 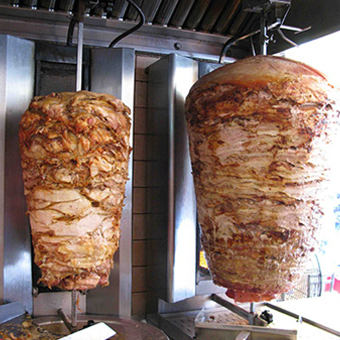 Now Spinning Grillers™ Shawarma machines are becoming a staple in Middle Eastern Restaurants. 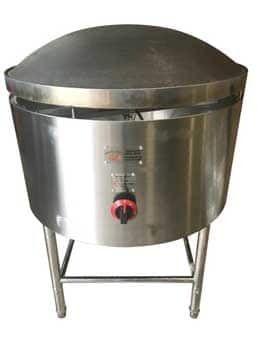 We not only specialize in Shawarma machines, Doner machines, Gyro machines and Tacos al Pastor grills but in Hummus blenders, Pita ovens and Saj Bread makers. 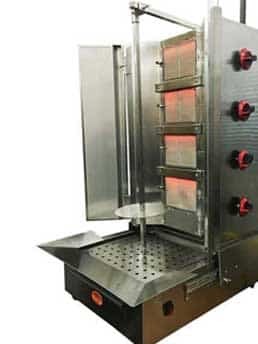 Based in Valley Cottage, NY Spinning Grillers™ became the leading producer for residential and commercial vertical broilers across the United States and worldwide. 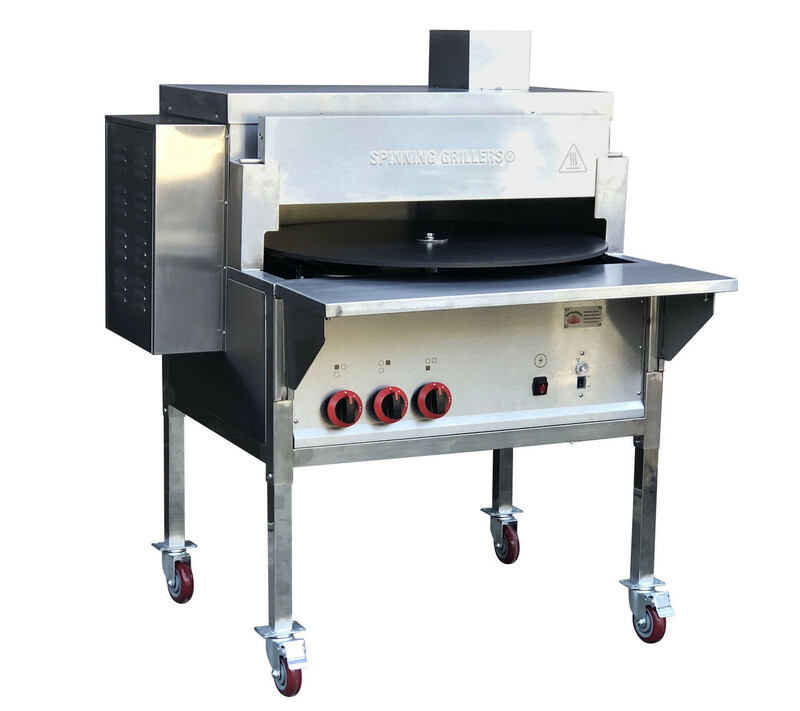 With Spinning Grillers vertical broilers you can make Chicken Shawarma, Turkey Shawarma, Beef Shawarma, Lamb Shawarma, Gyros, Doner Kabob and Tacos al Pastor. 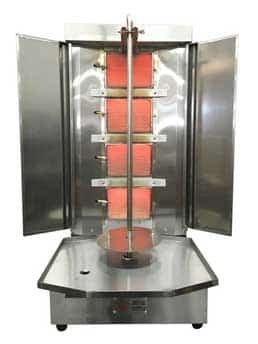 Spinning Grillers® Charcoal Kebab Grill 60"x 18.5" x 36"
Spinning Grillers Shawarma Machine- Shawarma Recipes! I recently purchased Hummus Blender. 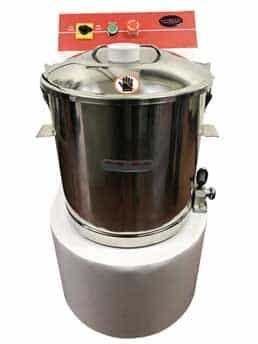 It's amazing product, very easy to operate .. Ultimate Durability. Great tool for small to medium size restaurants. I bought Shawarma Machine from Spinning Grillers . Great product with amazing results! Machine is very easy to assemble and use. Extremely happy with this purchase and would highly recommend it to everyone. Finally a home shawarma machine , great heat , i wish that the base of the pole was wider but over all it serve its purpose.